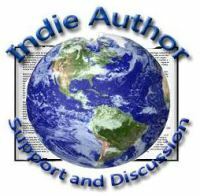 Here are my reviews of two short stories written by Rhonda Hopkins, an avid reader and prolific reviewer as well as being a valued IASD member and contributor. Having already read and enjoyed ‘The Consuming’ I knew I was on safe ground taking advantage of the free download of ‘Survival’ (though it has now reverted to its original price. Having said that, both are free to read if you have Kindle Unlimited). When Sarah escapes from her brutal abductors, she promises to return to rescue her twin sister, but with the walking dead invading Fort Worth, TX, she is forced to rely on a competitive coworker who made her work life hell for years. With her coworker weakened by cancer treatments, her sister still imprisoned, and zombies looking for an easy meal, Sarah’s only plan, if she can pull it off, is Survival. SURVIVAL is a 14,000 word (approx. 45 pages) short story and was originally published in the Let’s Scare Cancer to Death anthology. I haven’t read all that much in the Zombie genre so I can’t say how this compares with similarly themed stories but it certainly sets off at a cracking pace with the fight for survival starting right from the opening sentence almost; it was a nice touch that the initial ‘survival’ efforts were quite unrelated to the Zombie apocalypse occurring. It’s probably premature to make comparisons but the opening scene could easily be one straight out of the hit tv series ‘The Walking Dead,’ though the cover does invite such comparisons, which given its current popularity, I’m not sure is such a good thing. Although it would read quite well as a stand-alone story, I’m glad the author indicates there will be future instalments thus hopefully allowing the reader to explore the characters in greater depth. It’s impossible to tell what direction the story will take in the future but the story has been written in such a way as to leave open all manner of possibilities and a yearning to know the hows and whys of the current situation the characters have found themselves plunged into. Serena knows her late uncle wasn’t crazy. So when she inherits his sprawling Carolina mansion and leaves the big city to restore both his home and his name, she uncovers a mystery that could cost much more than her sanity. As the house slowly reveals its dark secrets, and the extent of her peril becomes evident, she’ll settle for escaping with her life—if it isn’t already too late. A supposedly haunted dilapidated old house you’ve just inherited, the sudden death of an uncle you haven’t seen since childhood, rumours of madness, the locals refusing to go near the place, and a psychic best friend who warns you not to go near the place … It’s hard to say too much about a short story without giving too much away but here we have all the ingredients of a spooky little ghost story, the sort that would make for a great episode of Hammer’s House of Horror. I liked the author’s style of writing, hints of a modern Edgar Allen Poe but obviously more current and without overdoing the gothic atmosphere, striking just the right balance at the beginning between outward normality while feeling and knowing something’s not quite right. Sometimes a short story will leave too many unanswered questions but in one such as this, a bit of mystery left to the imagination just adds to its enjoyment. Taking just under an hour to read, this is the perfect story if you like a little mystery and the supernatural in your reading but aren’t in the mood to take on the challenge of a full-length novel. Personally, I would have preferred this to be a little longer, perhaps with more involvement of the psychic friend but overall a fine short story that horror fans will appreciate. “The Consuming by Rhonda Hopkins is the literary version of what films like Paranormal Activity tried to be. This has the bumps in the night flying off the page.” ~~ TW Brown, Author of the Dead, and the Zomblog series. “The Consuming is a wonderful, chilling tale that leaves you listening too hard in the quiet of a dark night, and jumping at shadows in mirrors. Definitely looking forward to more from Ms. Hopkins.” ~~ Stacey Joy Netzel, USA Today Bestselling author of Beneath Still Waters and Lost in Italy. “The Consuming by Rhonda Hopkins is the perfect example of gothic horror…” ~~ Jennette Marie Powell, Author of Hangar 18: Legacy and the Saturn Society series. “…Rhonda Hopkins’ The Consuming had me turning on all the lights in the house and checking behind doors.” ~~ Stacy Green, Author of Into the Dark and Tin God (A Delta Crossroads Mystery). “…This tale will give you shivers up your spine, make you take second glances in mirrors…Superb!” ~~ Penelope Anne Bartotto, The Library at the End of the Universe.